Little-known fact: the most intoxicating part of Amsterdam is... its incredible club scene. 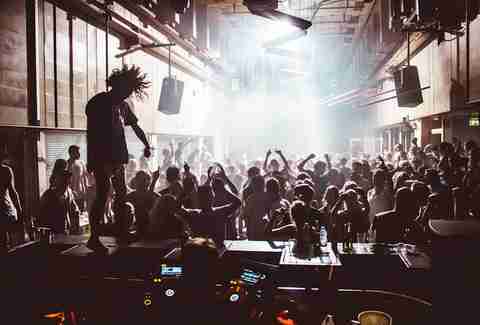 It’s home to some of Europe’s best nightspots, parties, and events -- and wherever you are in town, we’ve got the lowdown on the best dance-dens you should hit up (and the ones you should really not). The scene: This is the main square where memories are made/lost. The streets'll hop until well after the 5am weekend closing time. Skip: Any club that actively recruits you to come inside is just for the (lesser) tourists. Posh picks like Jimmy Woo and Bungalow 8 generally have more attitude than actual fun. 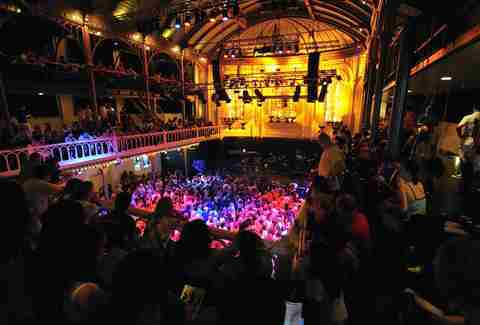 Hit up: Former factory the Melkweg and the awesome ex-church Paradiso rule the concert and clubbing scene here, while DJ fave the Sugarfactory is best known for its Sunday Wicked Jazz Parties. 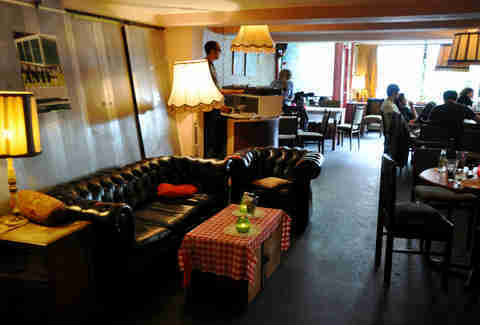 However, the slightly more intimate Club Up and Chicago Social Club are more and more where the local kids play. The scene: If anyone’s gonna give Leidseplein some competition for the party crown, it’ll be this square. Hit up: ... Instead, get in the potentially even longer line for the smaller entrance next door to dance Mecca Studio 80. If you want more scene, and have plenty of bank, head across the square to pose with the pretties at Club AIR or the brand new Club ABE. Techno freaks should head straight for the other newbie: BARKODE. The scene: Although these two clubs are pretty isolated, they’re boss enough to make this one of Amsterdam’s most important party zones. Skip: You can’t go wrong with either option. Hit up: Basement party pad Doka takes over for rooftop club Canvas while that’s fixed up, swapping the restaurant and indie scene for straight-up dance parties. 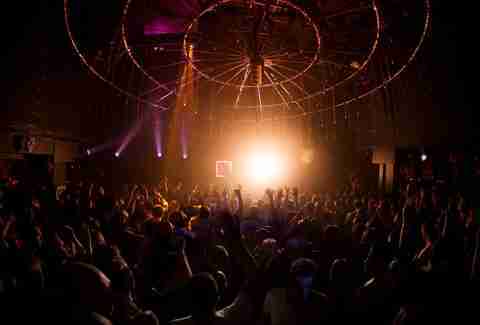 Across the street, Trouw is not only the city’s best club, it was the first to get a 24hr license. On weekends, the party literally never stops... until it shuts up shop in 2015, anyway. So... get on it. 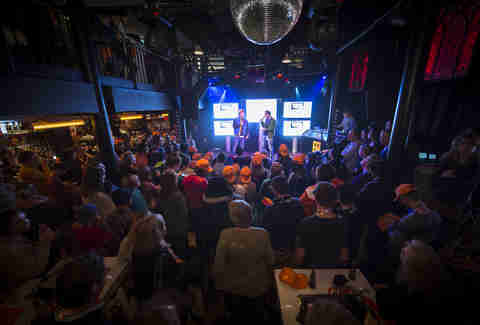 The scene: It's one of the city's main gay streets, but the party's good enough to draw a crowd of every orientation under the sun. Skip: Any judgment... what happens on Reguliersdwars stays on Reguliersdwars. Hit up: Any of the epic street parties. Any other day, try the always-friendly Club SoHo (especially when their ridiculous happy hour specials are on). The newest hotspot for mixed crowds is Club NYX, rising out of the ashes of the the legendary club Exit. The scene: More known for its beer and café scene, and... other entertainment, the Medieval Center also offers some scattered dance spots. Skip: The over-priced and unevenly produced Supperclub and super-dive San Francisco (unless you’re really, really inebriated). Hit up: Brand-spankin’-new hip-kid club Disco Dolly. Tourists and locals mix at Winston Kingdom for grungy fun, especially for the Cheeky Monday drum ‘n’ bass parties. Club NL is also a safe bet on quiet Monday nights. Otherwise, the hottest dance floor in the area is Bitterzoet’s. Indie-rock lovers should look out for their regular Kill All Hipsters parties. The scene: Dance spots with a watery view. 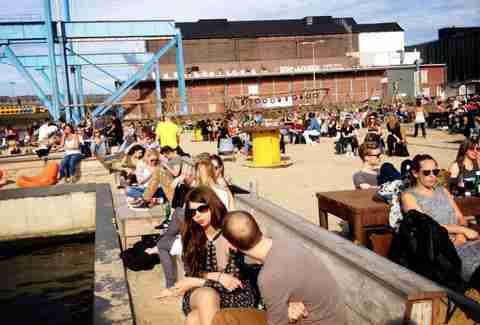 Hit up: Indoor/outdoor club Roest is worth finding in the maze of the eastern docklands for its parties and canal-side beach. A short ferry ride across the IJ is temporary hotspot Club Toren, proud possessor of a 24hr liquor license... until its June 2014 closing (so, definitely get on that). 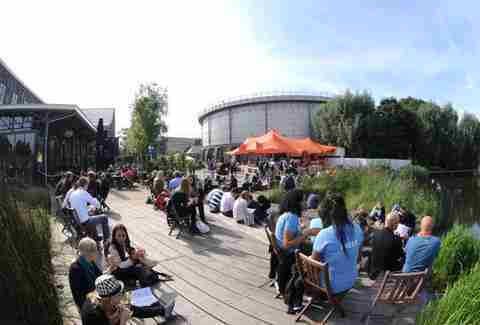 In the summer, this is also where you’ll find the Tolhuistuin’s surreal (now 24hr) outdoor parties. The scene: This industrial area turned park offers awesome weekends and epic indoor/outdoor summer festivals. Skip: Uh, don’t skip, stay longer... and start out at one of the delicious, mostly organic/locavore restos on site. Hit up: If you have tickets to an event, the Westergasfabriek and WesterUnie are pretty freaking good. If not, you’ll probably end up dancing to rockabilly music with half the city at Pacific Parc, which is no bad thing. The scene: Amsterdam’s most alternative (and affordable) clubbing is scattered around this giant ‘hood. Hit up: Many of this area’s multi-purpose clubs are (former) squats, like OT301 and OCCII, where you will find different entertainment every night of the week. De Nieuwe Anita might have anything on from bands to films to haircuts, while Club Lite offers barefoot partying and tantric dance. The scene: The farthest district from the center throws the most epic parties. Skip: Don’t expect to find a party if you don’t already have tickets, and be warned that the restaurant selection here is surprisingly lacking. 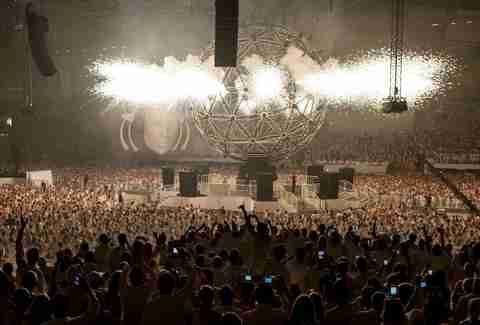 Hit up: This ‘hood’s most famous party is Sensation White, held every July in the Amsterdam ArenA. 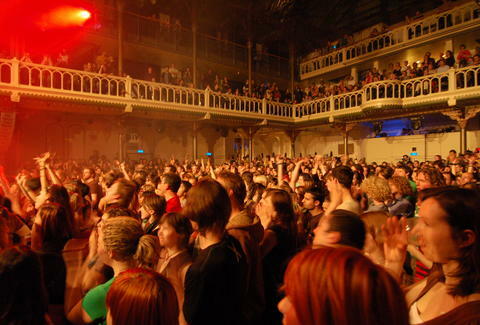 However, only slightly more modest DJ fests are held regularly at concert venues Heineken Music Hall and the new Ziggo Dome.